Special Offer!! 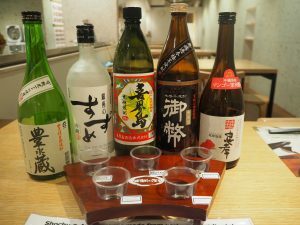 Complementary Shochu Tasting!! It’s been an extremely hot days, being over 35 degrees all around Japan. However, we have a great news for you today!! 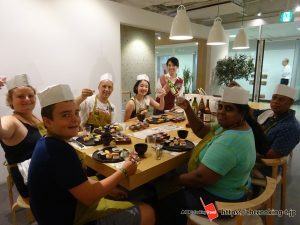 We just started a special campaign to offer you Shochu tasting experience FOR FREE, for all the activities & cooking class operated by ABC Cooking Travel. In particular, Honkaku Shochu is made from grains and tubers, mainly sweet potato varieties and potatoes, grown in Japan’s rich and varied climate, carefully fermented by koji (fermenting agent) and distilled in Japan. They have earned the appellation “KOKUSHU”: national alcoholic spirit because they embody the essence of Japan! 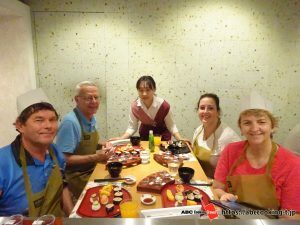 Whoever join our activities & cooking classes at ABC Cooking Studio, you can enjoy having meal and with a sampling of 5 different Shochus (Japanese National alcohol) of various ingredients such as rice, barley, brown sugar, sweet potato and mango. Shochu is different than “Sake” as it is distilled while sake (called Nihonshu in Japan) is a brewed rice. You can enjoy Shochu not only on the rocks or straight, just like whiskey, but also with soda and juice which is called Sour Coktail. This campaign will last until the end of 2018 for now. Don’t miss it out! 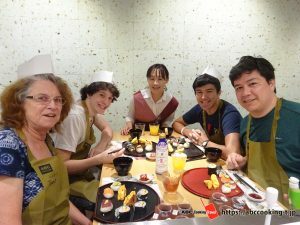 Kids & Family, super welcome! !